We post job openings every week! Looking for Full Time, Mature individual. Please send resume to Highland9425@aol.com or come to any location and fill out application. Do you enjoy working with elementary aged kids? Join the best in the region! The Adventure Club is hiring team members for all locations (Schererville, St. John, Dyer, Munster, Merrillville and Lowell). Please call to set up an interview at 219-865-6283 or stop in our office at 105 E. Joliet, Schererville. The Golden Corral in Schererville is now hiring more multiple positions. Newly remodeled and under new ownership. Holding open interviews Sunday through Friday January 18, 9am-5pm on site or call 309-648-6847. 18 and over or within 30 days of hire turn 18— at Golden Corral (915 Eagle Ridge Drive, Schererville, IN). Text "Biagi" to 2500 to apply quickly! Medical, 401k, Life, and much more. Midnight shift - shuttling trailers between the Biagi facility and the customer's plant. The purpose of this position is the safe and efficient transport and delivery of freight by operating (driving) tractor-trailer combinations. Position open for handyman with knowledge of plumbing, basic electric, and general maintenance. Part time position, approximately 20 hours per week. Please contact us at aprtmentcentralre@gmail.com. Full-time insurance sales position opening for a long-standing insurance agency in Munster and Dyer. Duties include evaluating needs of customers to find the best insurance policies for them and to sell the policies. Policies include home, auto, renters, boat, motorcycle policies as well as others. Looking for a motivated, sales oriented person with good communication skills. Sales experience preferred. Pay structure is hourly plus commission. Some benefits offered by the Agency as well. Property and casualty license is needed. Please send resume to: marymoynihan@allstate.com. Munster Med-Inn is looking for dynamic employees to join our fabulous team! Stop by our Job Fair on Wednesday, January 16th 10-3pm at Munster Med-Inn, 7935 Calumet Avenue, Munster IN! Energetic, creative, passionate, fun, organized, positive, loves working with kids... A LEADER! Does that describe you? Then we NEED YOU! Application can be picked up at the Schererville Community Center, 500 E. Joliet Street, Schererville. For more information, please contact jbarnes@schererville.org. We are looking for friendly faces to join our Lincolnshire Team! Full and part time available; long term care experience a plus! Lincolnshire Health and Rehabilitation is looking for a Beautician for every Thursday or Friday. Must be experienced with all hair types/textures. 80/20 Service agreement. Long term experience a plus, must be dependable and patient. If interested, please contact Andrea or Amy @ 219-769-9009. Qualifications: Candidate must possess excellent driving skills & driving record, personable / friendly to interact with vendors and public, knowledgeable with park programming, Desirable candidate should be at least 20yrs old. Duties: (if qualified) Driving, managing vendor check in and placement, managing vendor questions / concerns, managing public questions regarding programming or events. Possibility to assist with special events held in conjunction with the Market as well. Schedule: Wednesday afternoon / evenings, possibility for additional hours. May – October. Seeking more than one candidate to allow for subs and flexibility of scheduling. Interested candidates should fill out an application and turn into Danielle Volk. Or contact Danielle at 219.836.6922 / dvolk@munster.org. Qualifications: Candidate must demonstrate competency with competitive swim strokes, personable / friendly to interact with children, their parents, and adult participants. Desirable candidate should be at least 15yrs old. Duties (if qualified): Teaching / guarding swim lessons under the direction of the Swim Lessons Coordinator, filling out report card booklets, responding to parent questions. Schedule: Sundays in February and March. Full-Time, Weekdays. $12 - $14 per hour. The Office Support Associate will be responsible for data entry and system maintenance, assist with the billing process, report generation, mail distribution, requisition of supplies, answering and directing incoming calls to appropriate employees, visitor screening, as well as additional clerical duties. This position will also provide general office support with a variety of clerical activities and related tasks, including responsibilities to assist in our billing process. Qualifications include High school diploma or equivalent (GED) completion, a minimum of 2-years experience in an office setting, strong skill and knowledge of Microsoft Office Suite (Excel, Word, Power Point, Outlook, Access). Must be familiar with importing and exporting data between database system and Excel to generate, manipulate, and format reports. Medical billing experience preferred. Please send resume to: employment@innil.net. 18 years of age. High school diploma or GED. 15 hours of in-service training hours completed. The best way to apply for the job is to send a resume to us by email at empowered15295@gmail.com. In-Pact is looking for dedicated and hard-working people to work as Direct Support Professional. You will be helping people with developmental disabilities with daily living skills, community involvement and leisure activities. We have several openings in Lake and Porter County. You must have a high school diploma or equivalent, good work ethic and a desire to help others. Must have a valid driver’s license and a clear criminal history. We offer opportunities for growth, flexible schedules and a good benefit package for F-T employees. If you’re ready to join a team doing important and interesting work, apply at 12300 Marshall St., Crown Point, IN. 46307 or click for details. * Contacting child sponsors behind on their commitments, including by phone. * Keeping children and sponsor information updated in Excel charts, on our website, online giving pages, and in our Donor Management System. * Creating social media postings and regularly posting to social media. Ability to work with Excel and Word required. Ability to work with videos and Publisher is a plus. This position is four days/week. Contact Monica Miles at mmiles@ecmafrica.org for an employment application. GREAT HOURS!! We are Open 6am-3pm. Walk- ins Welcome. Cook 3-4 days a week, no experience required 3:30 till 10. 2 Bus shifts 3-4 days a week no experience required 3:15 til 10. Carry out 3-4 days a week no experience required 3:30 til 10. Server 2 days a week Friday and Saturday. Liquor license and over 21. 4:30 til 10:30. To apply, stop in to fill out an application at 1412 W Lincoln Hwy, Schererville, IN 46375. We are seeking a part-time master’s or doctoral level therapist, highly qualified therapist to join our group. This therapist shares the values of clinical excellence when providing therapy to patients. Must be fully licensed in Indiana. Licensure in Illinois will be considered. Graham Psychological Consultation specializes in treating trauma and underlying trauma attachment issues. The ideal candidate will have additional training in treating trauma and/or be willing to take CEU’s focusing in this area. The position is for 2-3 days/week and has the potential to grow into full-time. Please send cover letter and cv to: pgrahampsyd@sbcglobal.net. BECOME PART OF OUR LEGENDARY TEAM AND RECEIVE LEGENDARY PERKS! Horseshoe Casino has been voted as one of the Best Places to Work in Indiana since 2011, making our team legendary! Horseshoe Casino offers the best careers in the casino and hospitality industry. As part of Caesars Entertainment, you just can’t beat our winning combination. Please be prepared to play two pieces for us during an interview. Please EMAIL only. NO phone calls. Send resume or detailed info to info@hgsmusic.net. We look forward to hearing from you! Starting at $10 to $18/hour after 90 days of Training. Work 25-40+ hours per week. Monday-Friday availability between 6am-6pm. Occasional Saturdays. Our company has grown every year we have been in business, 19 years and counting. Now we are adding new, cutting-edge technology in both window and gutter cleaning. Glass and gutters that were once unreachable can now be done more efficiently and safely. This will open up new opportunities without having to travel outside of our service area. Be part of our growing company and apply today! Check back with us regularly! We post job openings every Monday. New openings are added to the list as they come in, the most recent openings will be at the top of the list. Your job opening will be posted for three weeks. If you are an employer or manager with a job opening, please send us a short job description (100 words or less), the town that the job is held, and the best way to apply for the position. Please email this information to Stacy Travis at stacy.travis@nwi-townplanner.com. We accept up to 2 job openings at a time for free. 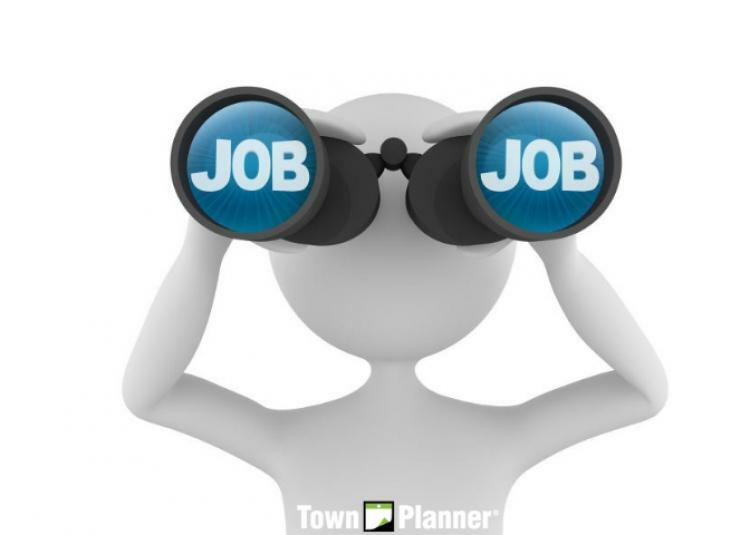 If you would like to learn more about advertising an unlimited number of job openings every week, contact Stacy at stacy.travis@nwi-townplanner.com. Please note that beginning June 1, 2015, we will not be including job posts promoting direct sales businesses. If you would like to promote your direct sales business please feel free to email Stacy Travis at stacy.travis@nwi-townplanner.com for advertising pricing and information.